For essential maintenance and repair work, these podium steps provide low level height access with full guardrail protection. The anti-surf unit ensures the product cannot be moved when in use. Erects and dismantles in minutes. 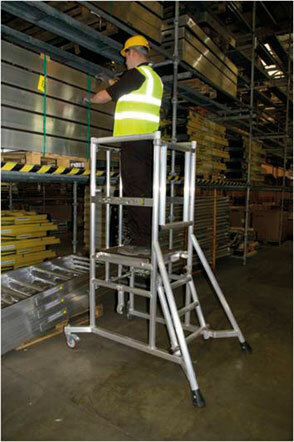 1m maximum platform height allows you to reach up to 3m.